Crystal healing is the belief that crystals have energies and properties that are able to improve health. Crystal therapy is a gentle non-invasive form of alternative healing that works holistically to harmonize the mind, body, emotions and spirit, helping to increase our feeling of well-being, neutralize negativity, lift depression and to help us to become integrated, whole beings. Crystals can be used on the body in several ways. 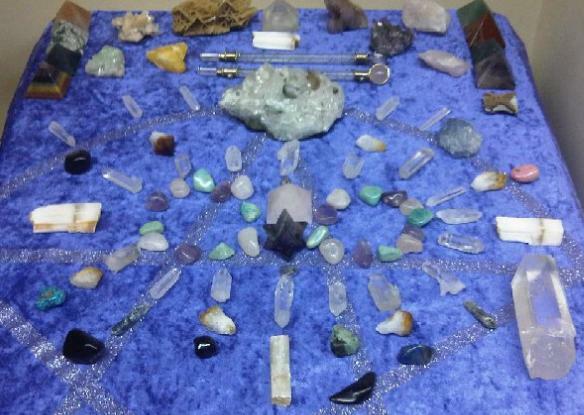 Crystal Therapists determine where blockages of energy in the body’s aura are located and then place a particular crystal on specific parts of the body. Crystals can be used in conjunction with the seven chakras for chakra balancing. By using the appropriate crystals a therapist can return an energy system or rebalance a body’s energies, thus improving well being. Different types and colours of healing crystals are promoted to have different healing powers. For example, amethyst is thought to calm the mind and uplift the spirit, sapphires are thought to help hearing and mental clarity, and rubies are thought to cleanse the blood and foster courage. Each one is chosen based on the individual’s needs and energy fields. Crystal Healing can be used effectively and safely on its own or in conjunction with other therapies for example Colour Therapy or Reiki. 11 units home study, one practical assessment & 44 CPD points – you have one year to complete this diploma. There will be continuous formative assessments taking place via email at the end of every single unit. Plus one practical assessment. Once you complete this training you will be entitled to gain insurance. All courses at Inspire Therapy Training are accredited and recognised by industry professionals. Visit our accreditation page for details. The practical assessment for this diploma is in East Yorkshire or Cornwall only. Please be prepared to travel to Hull or Cornwall for this day. ALternatively, check with your own therapy insurance to see if they will cover a home study diploma with no practical element. If it does then your diploma can be altered so that you can do the assessments via case studies. 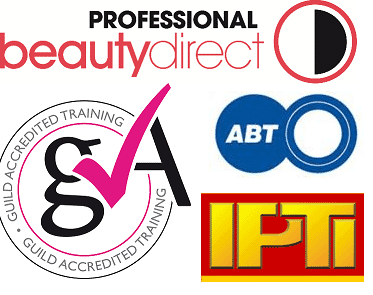 See image below to see the accrediting bodies we have chosen for this diploma. Photo taken from our Hull venue.